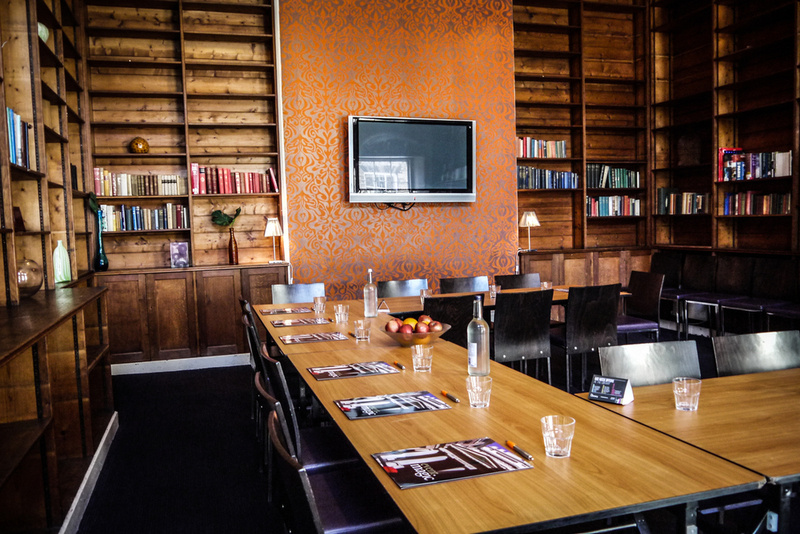 Spacious and impressive with floor to ceiling book cases, a 9-metre high glass ceiling and an upstairs art gallery, The Library has two private rooms for meetings and conferences as well as the main dining room that can be hired out upon request. The Reading Room has a seating capacity of 20 (conference style) and measures 5.2m in width and 6.1m in length. The main dining room can seat over 150 guests in comfort. A wide screen television is available in the study and can be linked to a laptop for presentations. Water and refreshments can be provided as can a Prix Fixe lunch or a buffet, depending on your requirements.